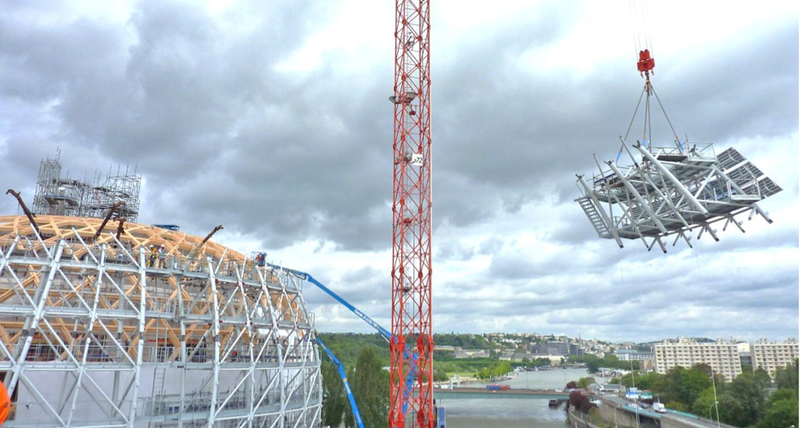 ‘The City of Music’ (Philharmonie) located on Seguin Island, a landmark of Paris city, is under construction. 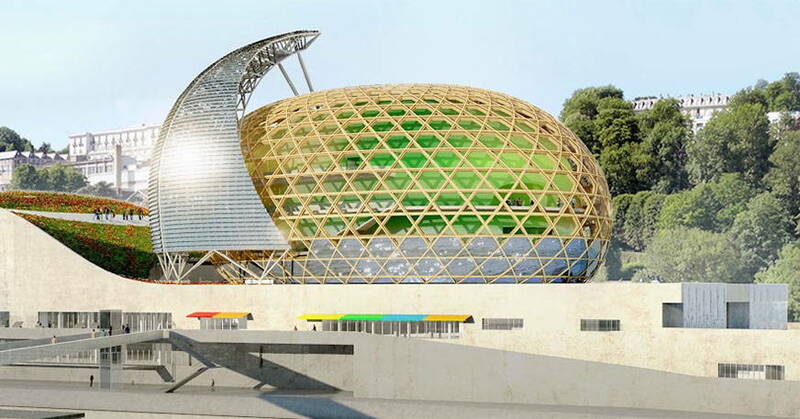 The sail of the auditorium will be solar. This metallic structure of 160 T rests upon motor carriages and a roller as well as has a fulcrum at its top. 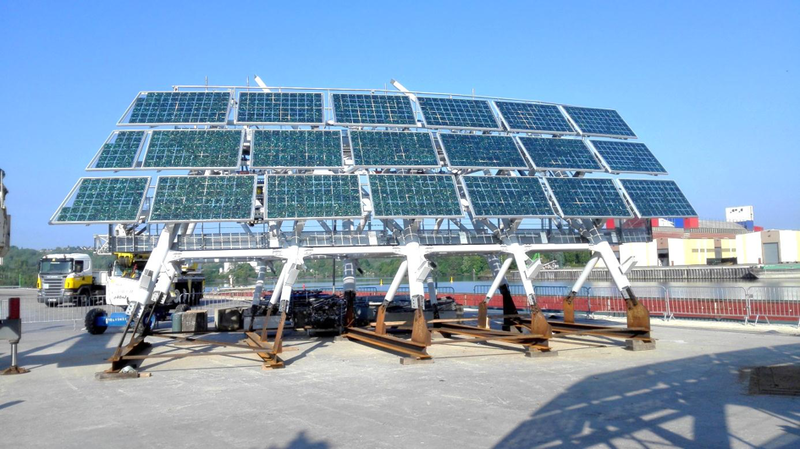 The structure provided by the company, Baudin Chateauneuf, will move around the auditorium, following the path of the sun at a speed of 0.08 m / s.
Customized Photovoltaic solar panel sailing has been manufactured and designed by ISSOL on behalf of TEC Solar. This unique, architectural background, made of glass and through multiple formats, enhancing solar cell technology had the color and reverberation chosen by Mr Shigeru Ban himself in person.